Developed by Dr. Antoni Ribas at UCLA, pembrolizumab is an antibody that targets a protein called PD-1 that is expressed by immune cells. The protein puts the immune system’s brakes on, keeping its T cells from recognizing and attacking cancer cells. 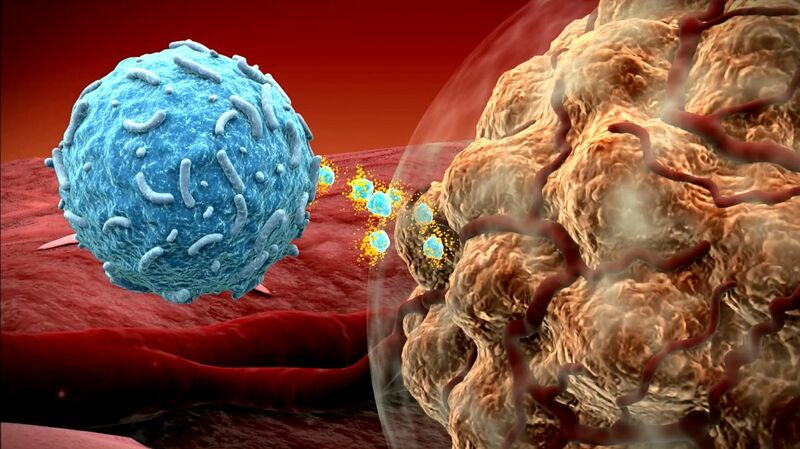 The drug disables these brakes, allowing immune cells (in blue) to shrink cancer tumors (right).